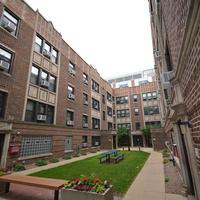 See what housing options are available for next year by touring Lincoln Park campus apartments! Open house is a drop in event so you can come and go as your schedule permits. Start in the Sheffield Square courtyard or go directly to the apartments you want to see. Sheffield Square is a suggested starting location. You may go directly to any campus apartment between 4 p.m. and 6 p.m. to take a tour.